The Glove Guard®, Utility Guard™, and Handi Klip™ lines from Glove Guard LP are now offered in a version that is molded entirely out of a metal-detectable plastic designed specifically for use in the food processing industry, safely keeping workers' gloves close at hand. 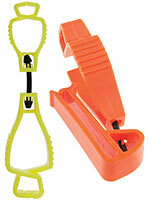 Glove Guard has added new, high-visibility colors to the Glove Guard® and Utility Guard™ product lines. The clips' sleek design still lies close to the body so as not to interfere with job activities and still features a patented break-away center. 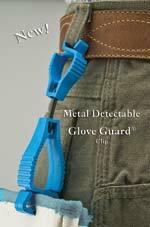 By keeping gloves close at hand, the devices help to reduce glove loss and the possibility of a resulting hand injury. The GOJO ECOPREFERRED pumice hand cleaner from GOJO is the first green certified product in the company’s Tough Soils lineup. 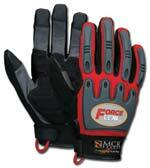 The pumice hand cleaner quickly and effectively cleans medium to heavy soils and conditions hardworking hands. Developed for those who work in oil, grease and other medium to heavy soils, GOJO ECOPREFERRED Pumice Hand Cleaner delivers cleaning performance and environmental credibility by achieving UL’s ECOLOGO Certification. GOJO ECOPREFERRED Pumice Hand Cleaner is also a USDA Certified Biobased product with an 85% biobased formulation. 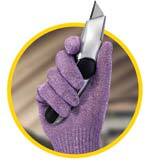 Kimberly-Clark Professional has added the KleenGuard G60 cut-resistant glove to its glove line. Featuring a blend of Dyneema® and glass to provide protection without compromising comfort, the seamless-knit glove can be used as an underglove and is ideal for paper-making, glass-cutting, and metal-stamping industries. Best Glove Inc.'s new Skinny Dip® Select HV 3871 palm-dipped, natural-rubber-coated glove is designed to combine dexterity and versatility with high visibility. The glove resists abrasions and punctures while providing excellent grip in wet or dry conditions, and its hi-vis cotton liner allows the hand to breathe while ensuring visibility. North Safety Products' new cut level 5, EN388-tested Dyneema® sleeve is form-fitting, tear resistant, and designed to stay out of the way and reduce snag hazards. The sleeve's finely knit blend is not bulky, vents heat to remain cool to the touch, is launderable, and can be dry-cleaned. The gray color hides dirt.